The origins of the heavy metal genre have been debated across the decades. Many point to Black Sabbath as the genre's inventors in 1970 while hard rockers like Led Zeppelin, The Who, and Deep Purple receive their dues for laying the groundwork for a heavier, darker, and distortion-heavy rock subgenre. But the band whose influence gets overlooked the most in these discussions has to be Queen. It's an easy mistake to make. Queen certainly weren't a "metal band," and their influence extends to many other corners of the rock and pop universe. But the mark they made on metal groups to come with their pair of 1974 albums is unmistakable. 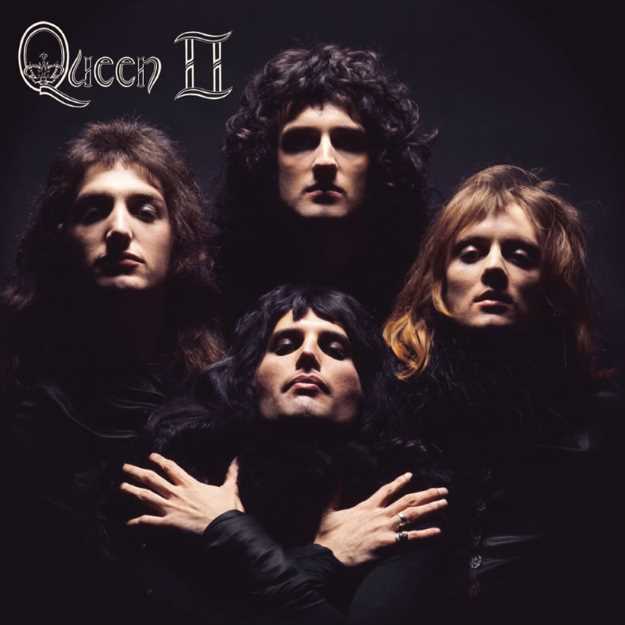 With its March release, Queen II jump-started the British rockers' monumental year, peaking at No. 5 on the UK charts (19 spots higher than their debut effort). Though recorded in just one month, Queen II exhibited a focused energy that is still infectious 45 years later. The album's success across the pond led to Queen's first trip to America, where they supported glam rockers Mott the Hoople for a month. But it wouldn't be long before all the young dudes of America preferred Queen's exuberant theatrics and hard-rocking riffage over other glam rockers. Then, in November, Sheer Heart Attack hit record shelves and blasted the band into superstardom. 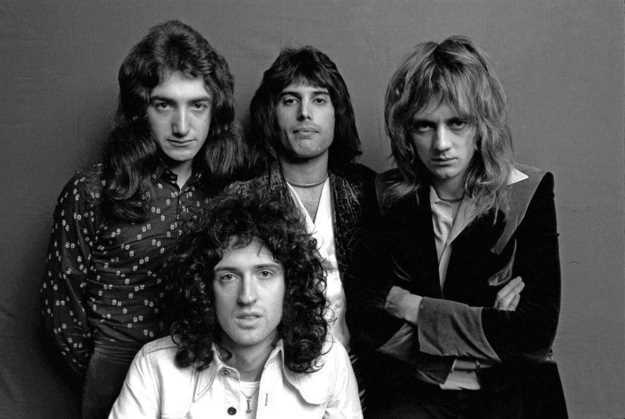 While most wouldn't claim accessible glam rock chart-toppers like "Killer Queen" or choral ballads like "Funny How Love Is" as metal canon, it's the grittier performances on the deep cuts of Queen II and Sheer Heart Attack that captured the imagination of metal heavyweights from Judas Priest to Deafheaven. The powerful vocals delivered by Freddie Mercury have informed a multitude of rock's greatest vocalists including Priest's Rob Halford, who told Loudwire in 2015, "He still is an inspiration to me. You know, I've got a list of singers who really touch me in the purest sense, from the vocal performance as well as just the soul and spirit. So he still does that, he just belts it out with such conviction, and his voice is remarkable." Indeed, no matter what Mercury sang about, whether it be ogre fights or love, you felt every single word as he exploded like dynamite one minute and whispered soft as a cloud the next. Metal artists point to Mercury's showmanship as a major influence as well. Speaking to Atlas, Axl Rose called Mercury the "greatest frontman of all time," a sentiment shared by Anthrax's Scott Ian verbatim. Even a decade before the famed Live Aid Performance, Mercury commanded the stage with the pride of a monarch (no pun intended), decked in an all-black proto-metal outfit and hoisting his microphone scepter to the sky. It would be a disgrace to talk about Queen's impact on metal vocal performances without discussing Brian May and Roger Taylor as well. Taylor is the oft-overlooked third godfather of the high-pitched metal scream. Though many remember Ian Gillan of Deep Purple or Robert Plant of Led Zeppelin for their impassioned vocalizations, one need only listen to the beginning of "Ogre Battle" or "In the Lap of the Gods" to realize Taylor's screams laid the groundwork for vocalists like Rob Halford and Bruce Dickinson. Additionally, the soaring harmonies provided by May, Taylor, and Mercury would prove formative for arena metal groups of the '80s like Def Leppard. Speaking of harmony, the harmonized guitar solos that would become a metal staple across the '70s and '80s were pioneered by Brian May's overdubbed instrumentals. May possessed the arsenal of an entire brass and string orchestra with his Red Special, creating fanfares ("Procession") and symphonic swirls (the 1:11 mark of "Lily of the Valley") on command. Of course, we would be remiss to discuss May's instrumental work without celebrating his solo on "Brighton Rock". For roughly three minutes, May gives a masterclass in proto-metal stylings, beginning with Who-like power chords mixed with blues-tinged licks. A minute in, May dive bombs (like Eddie Van Halen after him) into a section of chugging riffage that would be the envy of early thrashers like Metallica. 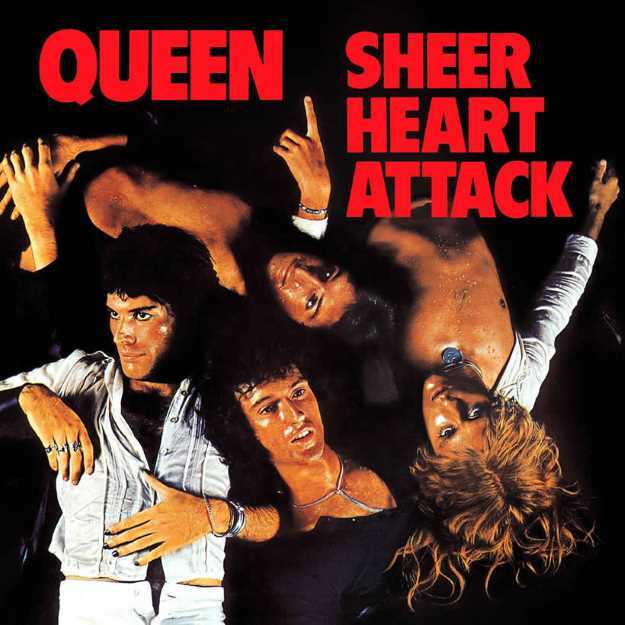 In fact, Sheer Heart Attack track "Stone Cold Crazy" is cited as essential to the formation of thrash metal. It's not hard to see why with its blistering riffs and rambunctious rhythm section clocking in at around 240 beats per minute. Metallica even covered the track on Garage, Inc. following James Hetfield's performance alongside Queen and Black Sabbath's Tony Iommi at the 1992 Freddie Mercury tribute concert. May's heavy riffs on "Stone Cold Crazy" as well as tracks like "Father to Son" and "Brighton Rock" set the stage for the heavy rhythm breakdowns heard in most corners of the metal genre. In addition to the powerhouse performances and innovative sounds, Queen's myth-inspired lyricism (especially on Queen II) often sounds like a precursor to power metal or progressive metal. Before Priest's "Sentinel" or Metallica's "Call of Ktulu" or Maiden's "Number of the Beast", Queen was telling tales of villainous myths on "Ogre Battle", in which the titular monster "can swallow up the ocean/ With a mighty tongue he catches flies/ The palm of a hand incredible size/ One great big eye has a focus in your direction/ Now the battle is on." Of course, they're a bit goofier than their successors, but Queen wouldn't shy away from going a bit darker still. While Ozzy Osbourne has always claimed the "Prince of Darkness" title, Mercury challenges the throne on "The March of the Black Queen". "I reign with my left hand, I rule with my right/ I'm lord of all darkness, I'm queen of the night/ I've got the power, now do the march of the Black Queen," Mercury commands over the song's ominous, galloping rhythm. "Seven Seas of Rhye" again portrays Mercury as a dark and powerful lord with its opening lines: "Fear me, you lords and lady preachers/ I descend upon your earth from the skies/ I command your very souls, you unbelievers/ Bring before me what is mine." Queen grasped a darker command of Tolkien-esque myth than Led Zeppelin before them, leading prog metal groups like Dream Theater (who covered a medley of Sheer Heart Attack tracks in 2009) to point to Queen's dark fantasy elements as an important influence. It would be erroneous to suggest that metal wouldn't exist without Queen. It's equally heretical, however, to discuss the genre's origins without the fiery group's zeal for powerful performances. "In fact," ex-Megadeth guitarist Marty Friedman agrees, "they did the 'staple characteristics' of metal better than most metallers did." If you asked Queen's members, they probably couldn't care less about the impact they've had on specific subgenres of the rock world. All they desired was to passionately deliver the music they wanted to make, disregarding those who didn't like it and those who wanted to box them in. Now that is the subversive spirit of metal.